Advocacy is an important part of EU-SIGN’s mandate to promote the importance of routine immunisation and also to encourage the strengthening of Primary Health Care Under One Roof (PHCUOR) in the EU-SIGN States. In December 2015, EU-SIGN conducted two advocacy visits – one to Kano State and the second to Anambra State. The project was represented by Dr. Dawud of the NPHCDA; Mr. Adesina and Dr. Eboreime of the Department of Planning Research and Statistics of the NPHCDA; and Dr. Attah, EU-SIGN Immunisation Expert. During the visit, the team met with key Government and partner stakeholders to assess the implementation of the PHCUOR, ensure EU-SIGN commitment to the State Primary Health Care Development Agencies, and to inform each of the States of EU-SIGN technical and equipment support to the State programme. In Kano State, Dr. Sharif Y. Musa, Director of Epidemiology and Disease Control/State Immunisation Officer represented the Executive Secretary, Dr. Mohammed Nasir Mahmoud and opened the meeting, which was also attended by Directors from the Local Government service commission, WHO, UNICEF and CHAI. 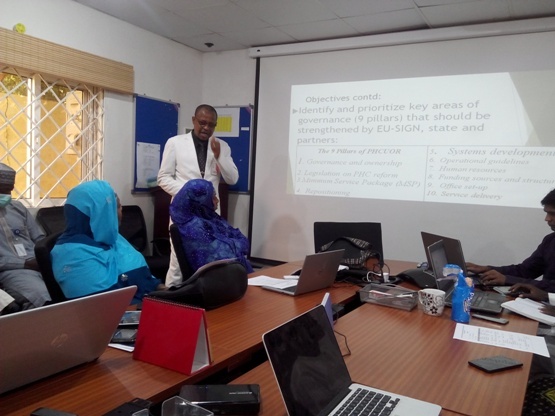 The meeting participants discussed some of the challenges in achieving a higher score on PHCUOR implementation, but a plan was developed to address governance, system, human resources, funding and EU-SIGN office set-up. The team also briefed the Honorable Commissioner of Health on areas of concern and to update him on the progress of EU-SIGN in Kano State. The event was covered in the press (Radio Kano, NTA and FRCN) and in the Daily Trust. and has been active in strengthening PHCUOR. Anambra’s PHCUOR score has increased from 7% in 2014 to 54% in October 2015, with the strong support of Anambra State Governor, Dr. Willie Obiano and the Honorable Commissioner of Health, Dr. Joe Akabuike. The Executive Secretary, Dr. Mrs. Chioma Ezenyimulu presented on the progress of Anambra State. The EU-SIGN team updated the team on the status of EU-SIGN implementation, procurement and support in Anambra and followed-up on a road map that was established in June 2015 towards improvements in PHCUOR. 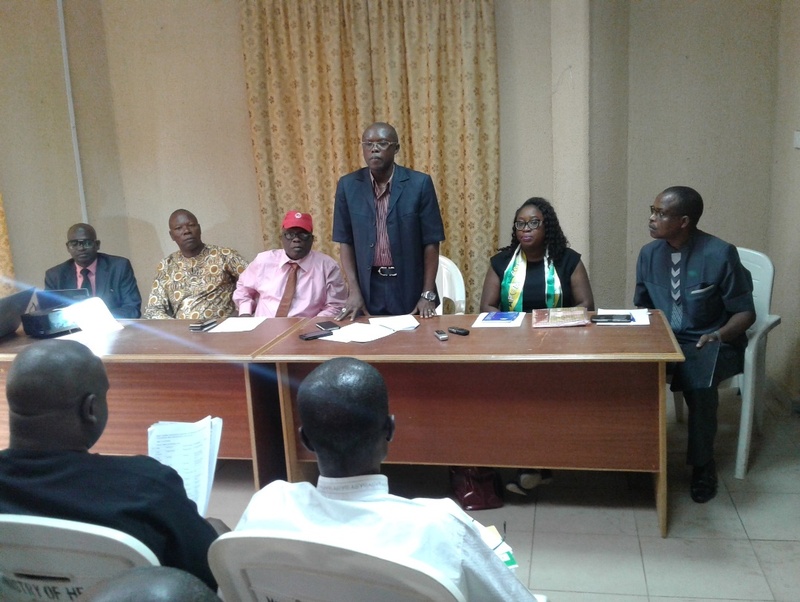 Anambra State has strong political will and cooperation to support PHCUOR, but challenges remain to the full establishment of the SPHCDA (transfer of staff, legal challenges, Minimum Service Package to be drafted) but the team is committed to addressing the issues and working together with partners to move the SPHCDA forward.